2 Coat Propretary Nonstick Interior cooks with little to no oils or fats. Effortless food release. 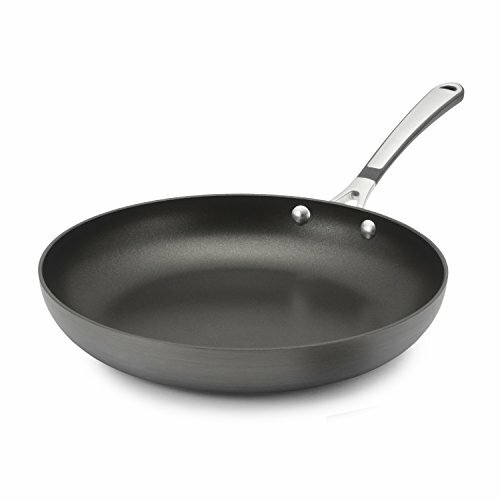 Nonreactive with foods and oven safe to 400 degrees F.
Hard-Anodized Exterior will not chip or crack. 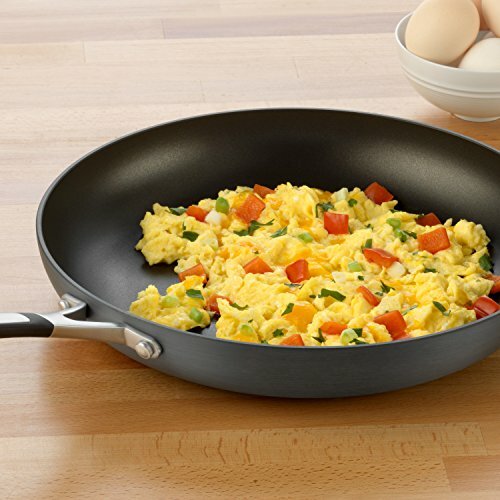 Heats fast and evenly. Riveted Silicone and Stainless Steel handles. Low heat transfer contoured handles. 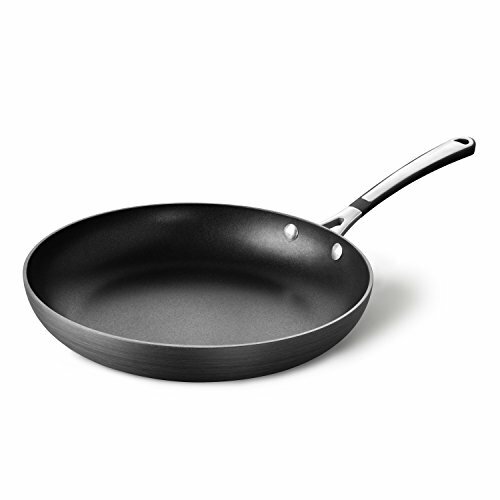 Perfect for hash-browns and other pan-frying tasks. 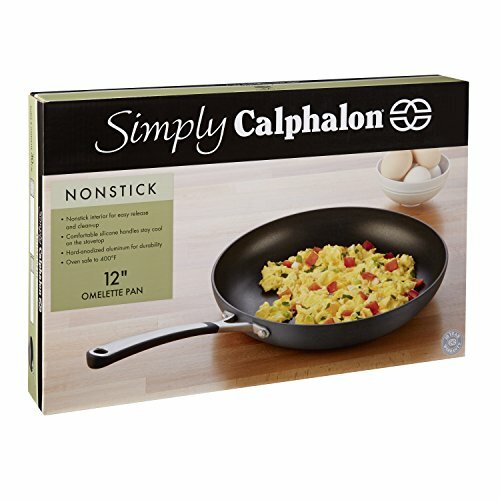 Calphalon AccuCore Stainless Steel cookware is professional grade top-of-the-line cookware to rival the quality of All-Clad.